At A1 Sewer & Drain, we proudly serve our local NJ community with professional sewer cleaning services for homes and businesses. Schedule sewer inspection or sewer cleaning today. Sewer Cleaning for Household and Business Drains, Sewers, Lavatories and General Plumbing Services. Sewer system cleaning or clogged drains come in all shapes and sizes, and develop in kitchen sinks, toilet and other household drains. All drains in a home or business empty into a main sewer line, which then carries the contents to either a city sewer or septic tank, depending on your home’s plumbing system. Whenever this sewer line gets clogged, it causes waste water to back up in your tub or shower drain, sink or lavatory – All your drains. Our sewer plumbers have the equipment and expertise to get your main line unclogged and running efficiently once again. 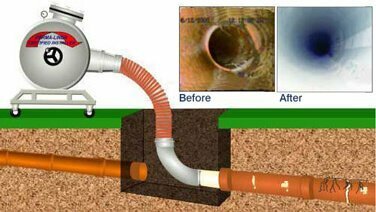 We are the original drain expert and have the equipment to clean the sewer line and free it of any blockage and provide sewer repair services if needed. At A1 Sewer & Drain Services, our local NJ sewer plumbers use hydro jetting for professional sewer cleaning. Using streams of water at incredibly high pressures, we can quickly clear tough debris out of sewer pipes and outdoor drain lines. This simple process can take as little as 30 minutes, and reduces the risk of more serious sewer problems later on. We also offer drain cleaning for local NJ businesses, including restaurants. Commercial plumbing systems are designed for heavy use, encountering high volumes of materials that can cause sewer clogs. Commercial kitchen grease, industrial byproducts, and other materials can clog or damage drain pipes. We provide commercial drain cleaning, along with drain repairs for commercial and industrial plumbing. Need sewer repairs? At A1 Sewer & Drain Services, our team of skilled sewer service plumbers have years of experience fixing broken, cracked, and collapsed sewer pipes. With trenchless sewer repair and sewer replacement methods, we don’t have to dig up your yard to fix a damaged sewer line. Pipe lining, pipe bursting, and other techniques can fix or even replace underground water pipes using only a couple of small access points. 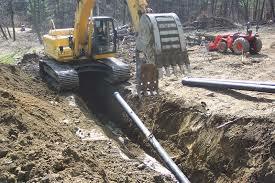 Call us 24/7 in NJ for Immediate Sewer Service NJ. We offer the best guarantee in the industry. A clogged sewer or clogged drain is an inconvenience and can create a sewer cleaning emergency. We offer residential and commercial plans to prevent your home or business from becoming a victim to this potential catastrophe. Backed-up sewage can mean a costly clean up as well as a health concern. We provide sewer system cleaning and sewer repair and emergency sewer cleaning and emergency sewer repair for all of Bergen County and nearby areas of New Jersey.